Our commitment to patient-focused superior care and services invites our staff to grow and elevate clinical skills. We equip our team members with the resources needed and support them with education and expertise to achieve the highest standards of care. 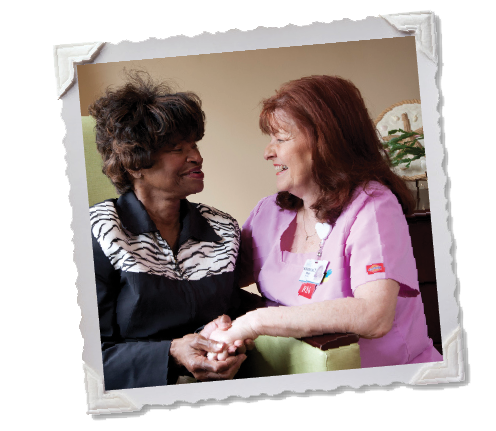 Ninety-seven percent of our eligible clinical staff members have attained hospice and palliative care certification, assuring our patients of unsurpassed clinical care. • Excellence Educators to assist with initial orientation, ongoing education and professional development for every new member of the clinical staff. • Support and preparation, including monetary incentives, for achieving hospice and palliative care certification. • Educational programs tailored toward career advancement and enhancement of skills.